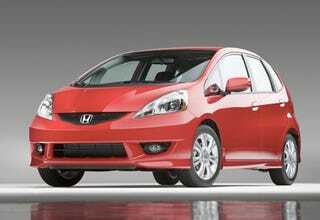 Automotive News reports that the 2009 Honda Fit is scheduled to start arriving in showrooms as you read this, more than a month earlier than the planned October 1 arrival. Why the rush? Fit sales are up more than 70% this year in light of high gas prices and positive press; Honda has done everything possible to increase production, but dealers were still going to be sold out of Fits for most of September. Rather than lose sales, Honda sped up its product plans, getting the new Fit to market seven weeks ahead of schedule. This being Honda, we don't expect there to be "some assembly required," but even the best automaker can get in trouble when they're pushing too hard.